The traffic police officer braved the rainy weather and traffic congestion just to make sure that the bag was returned to its rightful owner. It happened at about 4pm on Tuesday, 9 May, when Ahmad Shalaby Ibrahim was at Wisma CKE in Cheras with his wife to buy some goods for his office. After they were done shopping, the couple took the goods to the parking lot, accompanied by a salesman named Yap, to transport those items to Ahmad Shalaby's car. "I then put my clutch bag on my four-wheel drive's bumper because I needed to open up the car's cabin at the back. When I was done, I covered up the load with a luggage cover and closed the cabin, saying thank you to Yap for assisting me," Ahmad Shalaby wrote on Facebook. "When I was passing by Cheras Leisure Mall, I suddenly remembered something. My heart began pounding. Ya Allah, I've forgotten something." Ahmad Shalaby asked his wife to immediately call up Yap's office and let the man know that he had left something there, asking Yap to help him look around the parking area for it. His heart sank when Yap called back about three minutes later to say that he did not manage to find the bag that Ahmad Shalaby was looking for. Still, Ahmad Shalaby made his way back to Wisma CKE and traffic was building. 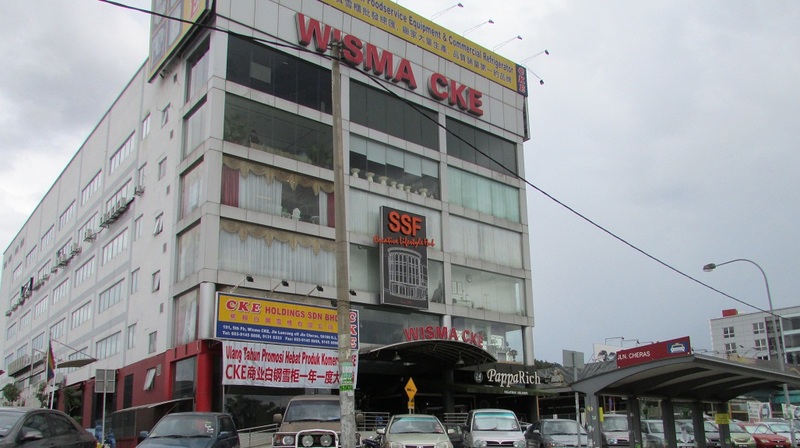 "When I reached Wisma CKE, I went around asking people if they've seen the item. Everyone said, 'No'. My heart became anxious, but I just surrendered to Him while praying that the bag will be found by those who are honest." "It was only when I reached in front of Plaza Phoenix (now known as Cheras Sentral) when I thought of using my wife's phone to call up mine." "My wife then made the phone call. Thankfully, a man picked up the call and said that he is a traffic police officer." 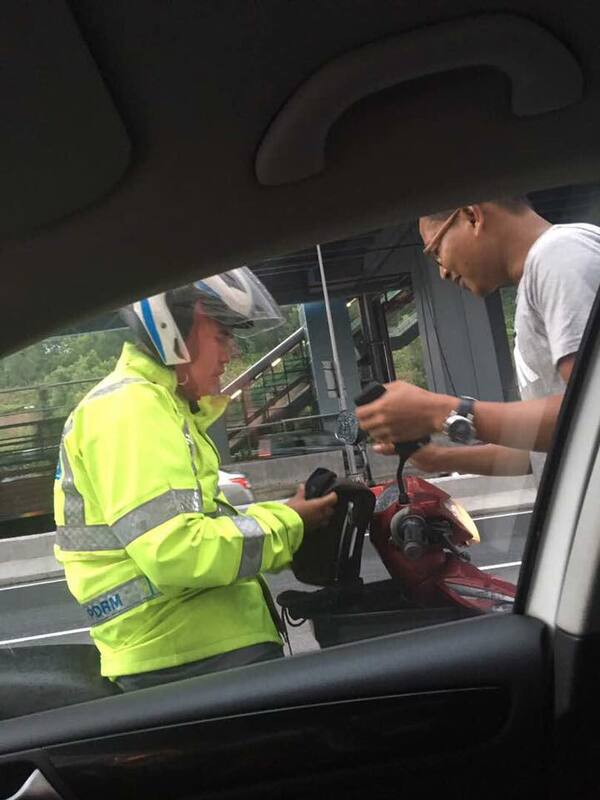 A traffic police officer known as Corporal Rizal from the Jalan Bandar Traffic Police Station in Kuala Lumpur found his belongings and they were safe with him. Ahmad Shalaby was extremely relieved and grateful. He told Corporal Rizal that he will make his way to Kuala Lumpur after 6pm. Meanwhile, he made his way back to his office in Kajang Perdana. When he was on the way to the town with his wife later that day, Ahmad Shalaby gave Corporal Rizal a call to tell him that they were on their way. However, the policeman asked them to wait as he was coming over to them instead. "After waiting for about 15 minutes, Corporal Rizal finally arrived in his raincoat. He looked like he was drenched in water as he braved the rainy weather and traffic congestion as everyone was heading home during rush hour," Ahmad Shalaby said. He thanked Corporal Rizal for his honesty and for going to great lengths just to return the bag to its owner. "There are still honest people like him. If other people have stumbled upon the item, I'm not sure if they would be as honest as him." "I gave him a little reward but he refused and repeatedly rejected my offer. I then told him to accept it as a charity from me and that this was Allah's rezeki (providence) for him today." 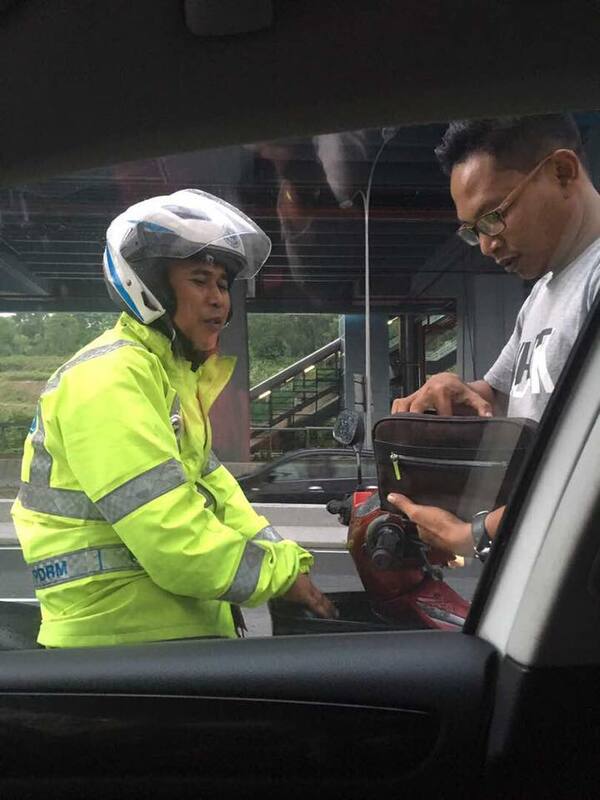 "Great job, Corporal Rizal, for setting a good example for the rest of the members of PDRM (The Royal Malaysia Police). There's nothing else that I can say except, 'Thank you'." "You are the best example of LOVE." The embassy was opened on 9 May.